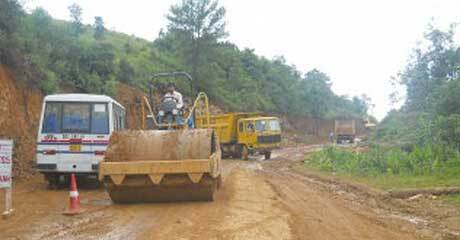 NONGSTOIN: The widening of the NH-44 E will be completed within five years time. This was stated by Kulvinder Singh, a senior official of the BSC, C&C JV, which was allotted the work. The widening work at Nongstoin started on August 22. “In the past whatever project we undertook we could complete them in the stipulated timeframe,” he added. He also said the company setup four different offices in Kynshi and Riangdo of West Khasi Hills and in Garo Hills they have set up offices in Swarangre and Samanda.